We think healthy skin is paramount to natural beauty. 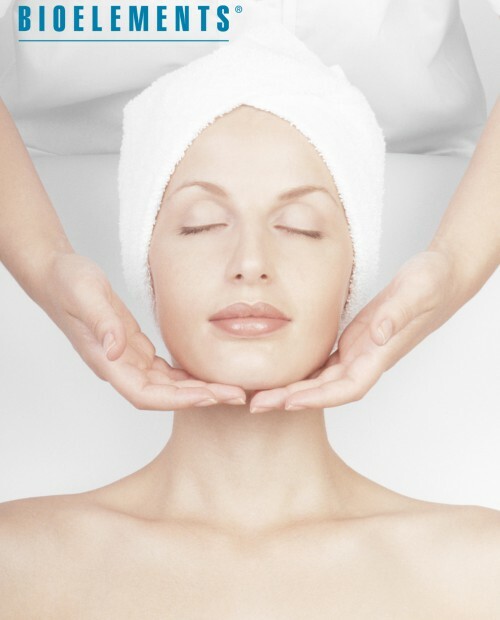 Our experienced team and quality line of skin care will help you achieve astonishing looks. Many lines boast that they were started by doctors, but Bioelements is the creation of an esthetician – Barbara Salomone, one of the first-ever licensed estheticians in the United States, and someone who knows the professional industry inside and out. Bioelements is also the only line to have every product formula overseen by a PhD in Pharmacology with a Master’s degree in Cosmetic Science, ensuring every product has the most effective ingredients available. Product Philosophy — Our skin care targets each person’s particular needs with a system called Biotypes – making it easy for clients to find the right products for their skin. Plus, Bioelements can custom blend products and treatments with scientifically-advanced ingredients including organic botanicals, cosmeceuticals and aromatherapist oils to even further correct specific skin problems. Formula Integrity — Bioelements’ formula integrity states that our products will never contain any artificial colorants or synthetic fragrance, and we will never test on animals. This integrity statement is so important, we print it on all our retail packaging. Strict Quality — While most lines test their products only in labs, Bioelements insists on also conducting real-life testing by estheticians at the Bioelements Learning Centers. We know no one’s a better judge of product performance than those who’ll use it day in and day out! In addition, Bioelements runs every product through the strictest quality control. In fact, we run double the stability and micro testing of other skin care lines. Mirabella was conceived and developed in 2001 by makeup artists for makeup artists from a desire to provide quality cosmetic products, professional artistry tools and accessories for use and retail sale in fine hair salons and spas. Mirabella products are designed with fresh and classic beauty looks in mind and it is the mission of our company and its creators to enhance the natural beauty of women with easy-to-apply timeless colors. Our products have been chosen and formulated to suit women of all ages. The addition of Pure Mirabella Mineral cosmetics meets the amazing demand for the most natural and pure products to date. The Mirabella team strives to provide top quality products, attractively packaged at reasonable prices. Whether you are searching for the perfect makeup brush, eye shadow colors, or a beautiful tube of lipstick, we focus on satisfying all of your cosmetic needs.